This is book one of the Iron Druid Chronicles series. If you would like to hear more, you will find the first chapter of book two – Hexed – at the end of this recording. There is not enough praise to give for this series. Beginning with this book you are inserted into Atticus life beeing turned upside down. from the first page you get sucked in and you wont regret it. In addition to the great stories in this book and the rest of the series you chuckle and laugh of Atticus and his dog Oberan wich he have learned to mindspeech with him. Oberan is a king of fun and mischeif his terories and thought about life and whats important just makes my day any day. Let there be sausage! You will soon know the understanding of the expression. And with doing so you will never regret it. What other book might you compare Hounded to and why? Comparing the books in this series is not nessisary. They all are linked into a huge story, a fun and thrilling exating rollercoaster you never want to get of. What does Christopher Ragland bring to the story that you wouldn’t experience if you just read the book? Christopher Ragland is the best narrator of this series. Luke daniels do a good job later on but still it all comes down to the voice of Oberon. He just rocks it. Cant sleep dont have time to eat. etc. yep! What to say here. It is fun exiting,sometimes a bit sad, enjoyable, easy to listen to and in all Kevin Hearne's story you get fed by some amazing talent of decribing things, his knowlegde. man that man must use isane amount of research time to collect all the information you get in these books. Book 1 as this is is a start on a epic journey in vbery many ways. Fantastic! 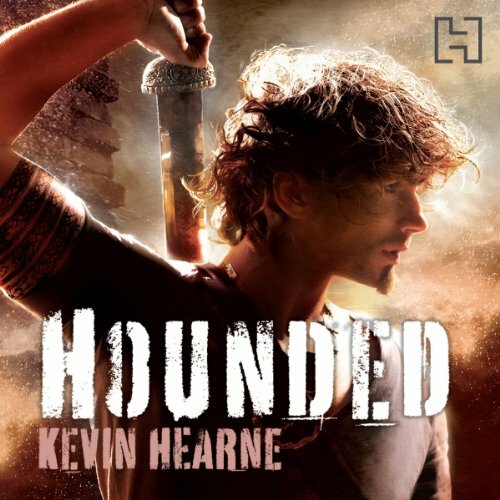 Would you consider the audio edition of Hounded to be better than the print version? the whole book, it was just action and suspense from the beginning. Christopher Ragland's reading of this book struck just the right balance between laid back, cool without trying, humorous druid and truly scary, I'll hack you to death with my bare hands and spit on your grave, this is why I've lives so long, druid. He also does a great voice for Oberon, the Irish Wolfhound that he wisely chose not to give an Irish accent. If you're looking for a light, humorous read, with enough plot to keep you turning the metaphorical pages, enough violence to keep you awake and enough new ideas to keep everything fresh, this is the book for you. We have one Druid, a coven of witches, a pack of werewolves, a vampire lawyer (not sure which of those two words is scarier), a possessed barmaid, a "merry on whiskey" Irish widow several Fae, three Goddesses and one horseman of the apocolypse and this is just book one of the series. Most importantly of all, we have a dog with a big heart and a dry sense of humor. Give this book a try. You won't regret it. 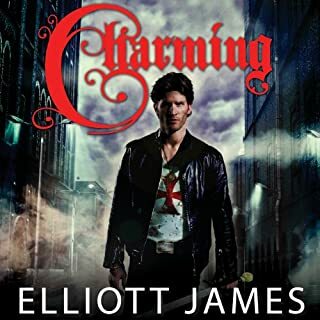 Best new urban fantasy I’ve read for a while. As I said in the title, I’ve been a fan of urban fantasy since my teens, but somehow Atticus escaped my notice. Now I’ve discovered him, I see that he’s a fantastic character, deserving to sit alongside Harry Dresden on my shelves. The rest of the Irondruid serie obviously.. Its quite its own style imo. Yes, hard to pause it. What made the experience of listening to Hounded the most enjoyable? This is a brilliant book especially as there is no monotheism, Oberon is the deepest and funniest character I have read in a long time. one of my favorite book serie's and the reson I joined Adible, so that I could listen to the full serie's. What would have made Hounded better? If the book was focues on more mature readers I think it would have been better for me at least. What was most disappointing about Kevin Hearne’s story? The main protagonist of the story is an old druid, realy old, yet he is writen like an obnoxious teenager, lashing out against anyone and everyone, with childish pranks, a prideful and downright bad attitude towards anyone not sworn into the secrets of the supernatural or not as special as himself, despite he himself in the story stating that he tries very hard to not get noticed or recognised for what he is. And he behaves as if no standard he requires of others is expected out of himself. He also has a destinctive lack of weeknesses, except that he falls for beautiful women(like no one does) and perhaps that he makes them interested in him for being so special, he is what every guy want to be and what every girl want to be with. While I can enjoy som guilty pleasure as well as the next guy it comes of as stale and even boring when the entire book is filled with it. It makes the book come of as a teenageres dream instead of an interesting story. This problem is by no means only apparent in the protagonist but most of the characters in the book. There are some exceptions and it makes you wish so much more that the rest of them were not so bland. This was the biggest flaw of the book and it dragged it down for me, other things I would have liked to see changed is that some of the charactets motivation through the bok does not line up with their actions but this flaw is esier to swallow. Would you listen to another book narrated by Christopher Ragland? The performance of the audiobook was alright with two exceptions the dog sounds exactly like scooby doo and every woman sound like an old hag. I realy love the setting and premise of this type of book urban lore mixed with modern society, a quick witted protagonist. It should be right up my alley for best book of the year but I struggled to get through it. Maybe it is because the book fell short of what I wanted it to be or something else entirely. To the good parts; as previously mentioned the setting chosen for this book is realy a marvel with a plethora of intresting characters to choose from. The way the book was written was also reealy good. It was easy to understand and to picture what was going on. I would like to say that you can feel it is the authors first book and I have definitely read worse but the book make me question if I am the targeted audience, which when I read the premise I felt I should be as an avid fantasy and folk lore nerd. I hope the next book is better, if the problems presist in that one aswell I gor one will not give the third one a chance. The tone of the story and the character was kind of fun... but the plot bored me and I will not be continuing the series. It feels like wasted potential. Reminds me of the Dresden Files but toned down in terms of crazyness and fun. The voice of the dog in the narration annoyed me from beginning to end. 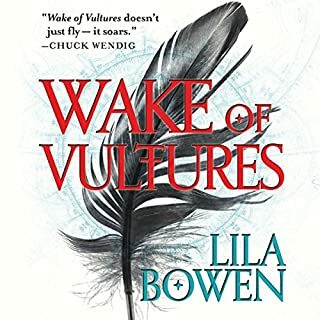 If you enjoy well read books that have interesting storylines, then this is definietely a book for you to try, and if you're as impressed as I was, then you'll have found a new series to definiely continue listening to! I love Atticus and his friends - escapist adventure story which captured my imagination immediately. This book finished all too quickly for me - so I had to buy the next two right away to see what would happen next. I love Atticus and also The Widow Lady. 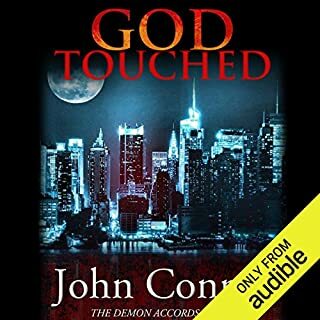 This was the first book I have heard narrated by Christopher Ragland - he captured the characters wonderfully and the different voices match very well - though I did have to stop my sewing machine whenever the vampire voice was on - great sibilant whispery effect, but impossible to hear over the machine - will have to buy good headphones to use for the next book. I would definitely look for books narrated by Christopher Ragland - he absolutely understands the author's expression. Atticus - last of the Druids - man of mystery and magic - a hero with RED hair?? 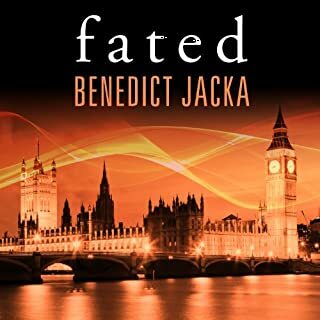 I've listened to the three books in this series available on Audible in very quick succession, enjoying every moment. The stories are fun, the characters compelling and interesting and the narrator brilliant. I came to them via The Dresden file books which are similar but a bit more serious. I loved the regular Star Trek references and agree totally with Atticus that Neil Gaiman in the man. Now I'm waiting impatiently for the rest of the books to be made available here. To be honest I really struggled to get through the story, i dont know if i would do so again. Did Christopher Ragland do a good job differentiating each of the characters? How? No, the characters are all a little 'kiddy' and over the top. Rather than putting on serious voices for the other characters they feel a bit like Scooby Doo characters. Asides from that the narration is good, the main characters inner monologue sits nicely with the character. No, in fact often in jarred me out of listening to it. The actual story line was great, the characters felt interesting and not too 1 dimensional; however the book is full of little back tracks through history that are completely inaccurate (I know this is a fantasy book, but when a character is supposed to have lived 2 millennia then you would like him to actually know what he is talking about during the past- if not you want an explanation of how this world differs from ours). It all just needs a bit more research OR an explanation to why history is wrong. I was hoping for something to keep me busy while waiting for the next Dresden Files book, but I think I was setting my scopes to high. All in all the book isn't bad, in fact its quite good - but not as good as others in this genre/style. It's like a mini Dresden in many ways. 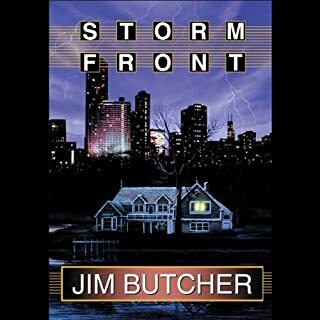 If you're hoping for some fill before the next Dresden Files comes out, this will pass the time. It's the same kind of deal, but far less detailed, exciting and engaging than the real deal. Shop brand Cola versus Coke. But still a fun listen. What a fun book. It was fast paced, fairly short, with some really enjoyable characters. I have been reading a lot of epic fantasy, sci-fi and history books recently and wanted something a little different - but fairly quick. Up popped Hounded, the first book in a series by Kevin Hearne. Atticus is over 2000 years old, and is a Druid. He has made some enemies over the years, and one of them wants what he thinks is rightfully his. Thus starts the book and the series. There is a lot of information being dumped on the reader. After all, Druid, Witch and God lore all needs to be dished out - as well as character development. It has some fun humour in it as well, including some pop culture references. The best humour comes from Oberon, an Irish Wolfhound with a thing for French Poodles and Sausages. The narration was clear, despite some Irish accents. Its a series that i will most certainly continue in reading. If you could sum up Hounded in three words, what would they be? I bought the book through one of the special offers, and absolutely delighted that i did... it's a great book, easy to read with great characters! In fact, I couldn't wait to find a few moments to listen, even while cooking dinner! the characters are likeable, especially Oberon - Atticus's dog, the side kick of the story. I bought the next two within days of starting the first one :) THANKS! this was my introduction to his performance - but would highly recommend him. His interpretation of Oberon was classic! Definitely - I just wish that I'd started it on a friday evening, so that I didn't have to worry about going to work! Hounded by Kevin Heard introduces a new world of magic creatures. A powerful druid, confusing gods and a stunning wolfhound. A tale of magical weapons, spells and lore. I was captivated . Light, easy and enjoyable. As an Irish Australian I have grown up with the legends of the Tuatha De Danaan and the times of the Druids, but not being able to accurately visualise the country they originated in. Hounded takes the reader on a journey through time, a journey full of one man's memories and colourful recollections. This is not a book of folk lore from the time before time, it is a living story of a Druid in the modern days, fighting for his right (and the rights of those on his side) against a variety of Gods, Beasts, Other Worlders and Many other characters. Atticus O'Sullivan is an ordinary man, like all others in a secluded area of America, except that he is 2100 yrs old, covered in tattoo's which tie him to the earth and all that worries her, and the worlds Gods either love him, hate him, or wish to use him. We hear the story through both his and his Wolfhound, Oberon's perspective, and at times you wonder how a dogs analogy of the "right of the sausage" can be so spot on. This book is a tragedy, a comedy, a folk tale, a fairy tale, and a downright bizarre mix of all -that works. You will find yourself completely immersed in the world of the last living Druid and at times you will be cheering him and Oberon on. 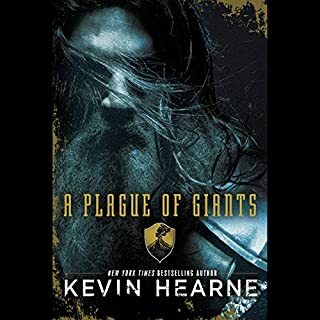 This is the first book in a very entertaining series by Kevin Hearne. Pick it up, listen to a sample. I can assure you, if you enjoy the Irish sense of humour, and to read about legends of old, this book is for you. Enjoyed it immensely, I'll be continuing the series. Such loveable characters! Especially oberan the dog. I highly recommend this book. I hope the next ones are as good as this. Oberon is always a win! Oberon, just this frisky wolfhound is enough for this book to receive 5 stars from me. He is truly one of the funniest, literal and droll characters I have ever read. Fortunately, that wasn't the only thing I enjoyed about the book. How Mr Hearne shows the inner working of an ancient druid, that they aren't blast-blast magic but more subtle and a heck of a lot more interesting. The way the shadow world is connected to the real one was handled really well. The understanding of mystical lore of trees and also of the fae with a connection to the Tuatha Dé Danann was amazing. Fantastic voice. I would listen to more books read by this narrator. The story had Great humour. Interesting characters. I liked the dog the most. I enjoyed the second half of the story more than the first. More fight scenes and humour later in the book. Lots of explanations and history all through the book. What other book might you compare Hounded to, and why? He makes all the characters come alive. Luke Daniels is good but raglands performance leaves him in the dust in my opinion. It's a fun story in the style of The Dresden Files. The narrator is fine until he tries to do voices. If you're ok with weird, screechy, cartoonish-voiced godessess and dogs with dopey, cartoonish speech impediments, go for it. If not, buy an ebook or hard copy. I really enjoyed this book, I was worried that the American teenager / young adult play on this book would make it a bit too cheesy to be able to stand, but as the story went on, it has grown into the character of the book. I'm hooked. So pleased that this is a 9 book series! A must read for any fantasy book lover out there. Definitely get on the Iron Druid band wagon. Well worth every second listening to this story!!! Having recently read the book myself it was wonderful to hear the story come alive. I am already looking forward to the next audio book in this series. I highly recommend you give it a try!